Sensory Nutrition - Fuel your body...Delight your senses.Sensory Nutrition | Fuel your body...Delight your senses. Lifestyle matters! This year’s National Nutrition Month® (NNM) is “BITE INTO A HEALTHY LIFESTYLE ” with the spotlight on YOU! The Academy of Nutrition and Dietetics is encouraging you to review your own lifestyle. Consider what might work best for YOU to promote your overall health and well-being. (Note that all images in this blog post are the property of the Academy of Nutrition and Dietetics and only displayed in honor of the Academy’s celebration of National Nutrition Month® and National Registered Dietitian Nutritionist Day). Ramadan daylight fasting is one of the five pillars of the Islamic faith. This June, our blog site Guest Author is Teba Abdul Lateef, a Registered Dietitian from Pakistan who is contributing to a two-part blog series on Ramadan. Teba is sharing some of her expertise as a devout Muslim when it comes to Islamic traditions. Please see Part 1 of this two-part blog series for links to Teba’s background. (Grand Mosque picture courtesy of barunpatro at rgbstock). Part 1 covers some background from Teba concerning Ramadan as well as some reported culinary trends during Ramadan for Muslims living in various parts of the world. This Part 2 includes some thoughts from Teba for devout Muslims to consider when it comes to maintaining their health during Ramadan. Ramadan is considered the holiest of the four holy months observed by ~ 1.6 billion Muslims worldwide. In 2014, Ramadan is observed from June 28th – July 27th. Once again, we have invited Teba Abdul Lateef, a Registered Dietitian (RD) certified by the Pakistan Nutrition and Dietetic Society, to contribute as a Guest Author for this month. Teba was last featured as a Guest Author back in March for National Nutrition Month. During the academic year, Teba serves as a Lecturer in the Department of Nutrition and Dietetics at the Ra’ana Liaquat Ali Khan Govt. College of Home Economics in Karachi. 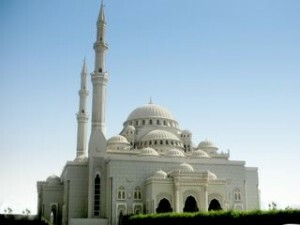 (Grand Mosque picture courtesy of barunpatro at rgbstock). When it comes to this important Islamic tradition of Ramadan, Teba is contributing to a blog series sharing her insights as a devout Muslim and her expertise as a RD. Collaborating with Stephanie, Teba provides some valuable insights into the food and nutrition culinary trends during Ramadan as celebrated by the Muslim faithful around the globe in this Part 1 and then in Part 2 she shares some suggestions for enjoying a healthier Ramadan. In Part 2 of 2 of this latest two-part series referencing Pakistani cuisine, we focus in on a glimpse of a typical Pakistani cultural dietary pattern. Once again, for National Nutrition Month (NNM), we feature our Guest Author, Pakistani Registered Dietitian, Teba Abdul Lateef. Teba shares details of her observations of some of the traditional food ingredients utilized in preparing Pakistani cuisine. She compiled the listing based on her experience living in Karachi, thus it is not meant to be all-inclusive. In Part 1, Teba shares details about the wonderful nuances of some of the better known cultural dishes and spices that help to bring out the distinctive flavors of Pakistani cuisine which can dazzle your senses. Pakistani cuisine which will dazzle your senses is being featured in this next two-part blog series during March 2014. This Part 1 includes details about a number of the wonderful nuances of some of the better known cultural dishes and spices that help to bring out the distinctive flavors of Pakistani cuisine. Part 2 focuses on a glimpse of a typical Pakistani cultural dietary pattern. Earlier this month, we introduced our Guest Author for 2014 National Nutrition Month (NNM), Pakistani Registered Dietitian, Teba Abdul Lateef, who recently accepted a college lecturer position in Karachi. Tasty recipes from Pakistan are being featured this March, courtesy of our Guest Author, as we go global in our effort to promote eating right during National Nutrition Month® (NNM). In Part 1 of 2 in this blog series, our Guest Author shared some useful tips to consider when making your meal/snack choices. For Part 2 of 2 in this blog series, our Guest Author shares some personal recipes to prove tasty food can indeed be both delicious and nutritious! Tasty and nutritious food can contribute to better health no matter where you live, so let’s go global in promoting eating right as we celebrate National Nutrition Month® (NNM)! This March 2014 marks the 41st anniversary of the Academy of Nutrition and Dietetics’ month long promotion of National Nutrition Month®. We’re featuring a Guest Author on the blog this month. Read on for all the details and some new Pakistani cuisine recipes. As part of former First Lady Michelle Obama’s signature “Let’s Move” initiative to end childhood obesity in America, on Tuesday, July 9, 2013 the second annual White House “Kids’ State Dinner” as a formal luncheon was scheduled to celebrate the winners of the 2013 Healthy Lunchtime Challenge. (2017 UPDATE NOTICE: Unfortunately, the Let’s Move website is no longer active since Michelle Obama is no longer the current First Lady. 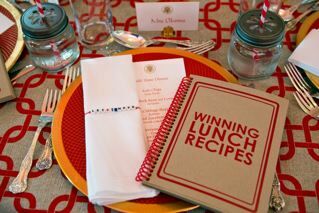 Selected healthy focus recipes were featured at the luncheon. 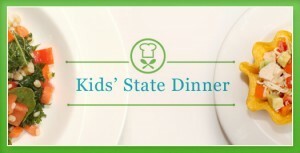 (Image of Kids’ State Dinner graphic property of Let’s Move and shown for identification purposes only). Plans were underway for the year 2013 (2nd annual) Kids’ State Dinner aka celebration of the Healthy Lunchtime Challenge promoted by Let’s Move. Winners of the recipe contest were announced around late June 2013, although winners in some cases received some local celebrity in their home town locations in advance of the announcement.